This is an 8 Inch Afghanistan Operation Enduring Freedom Khukuri. 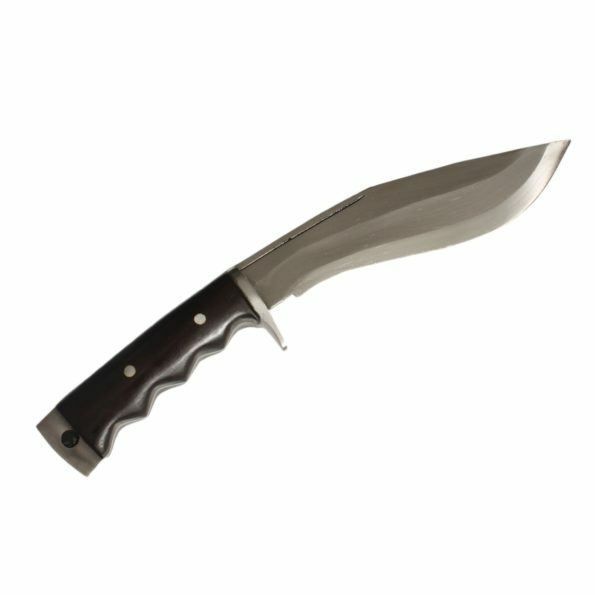 The Afghanistan kukri is one of the FGKH bestselling blades. 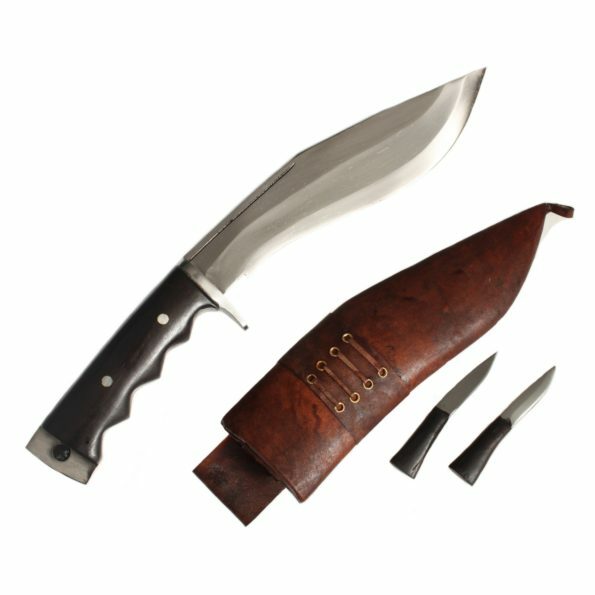 This Khukuri is handmade and features 8 inch matte finish blade, it is made from a high carbon spring steel making it durable and strong This is a full tang Khukuri with a 5″ handle which features beautiful rosewood material which is securely fitted to the Khukuri handle using the traditional Nepali glue called Laha. The sheath or scabbard is hand made from the leather of the Water Buffalo found throughout Nepal. 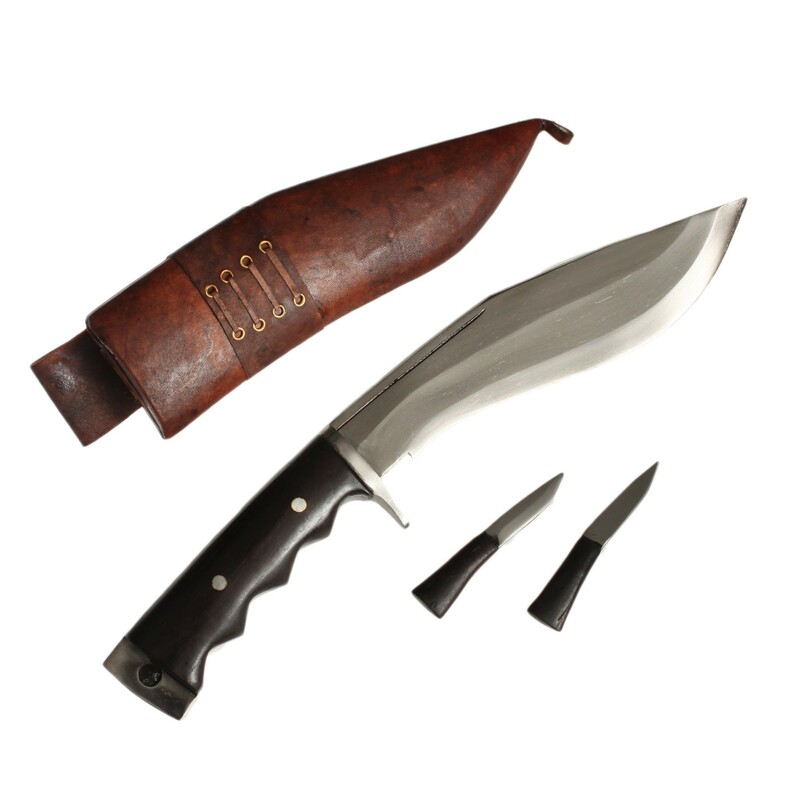 The khukuri comes with the sheath knives the Karda and Chakma which are two small accessory blades used for sharping. 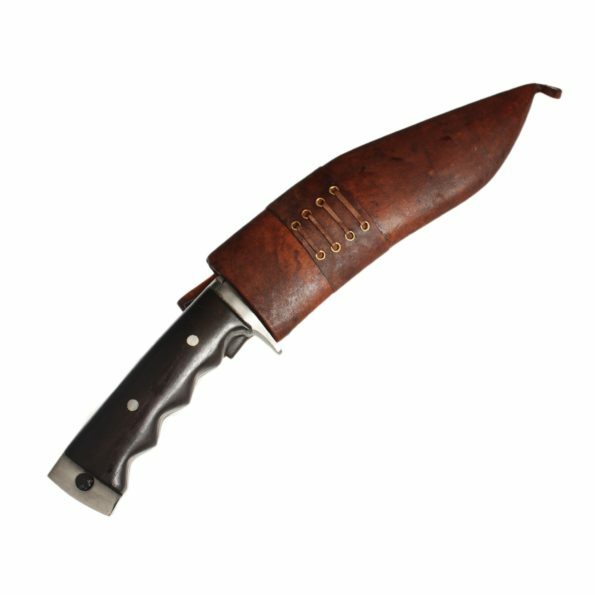 This Khukuri can be kept as a souvenir or can be used as a working knife. Blade Size and Type: 8 Inch and unpolished blade,Handmade. Handle Size: 5 Inch Full Tank blade handle. Material Used: Highly Graded Carbon Steel, (car & Jeep leaf spring, 5160)Water Buffalo refine Leather for Scabbard(outside) and Water-Buffalo Bone for the Handle, Pinewood for the Scabbard (inside), Laha( Nepali Traditional Glue).